1) If you planted this book in the ground, what would grow? A pear tree, a train, a monument to the wianbu—Korean women and girls who were kept and repeatedly raped by Japanese soldiers during World War II. 2) What is this book’s theme song? “Spring” (especially the 2ndmovement, Largo) by Antonio Vivaldi. The condom said Attack Number One. I listened to The Four Seasons. In Ordinary Misfortunes, showers do not bring flowers: they bring more rain. But these poems are anything but a senseless, incessant deluge. They honor the victims of tragedy by refusing to ignore the violence that occurred and its lasting effects. 3) If this book were an animal, what animal would it be? With this chapbook, the poet opens doors to a past that must be known, and readers will never forget it. 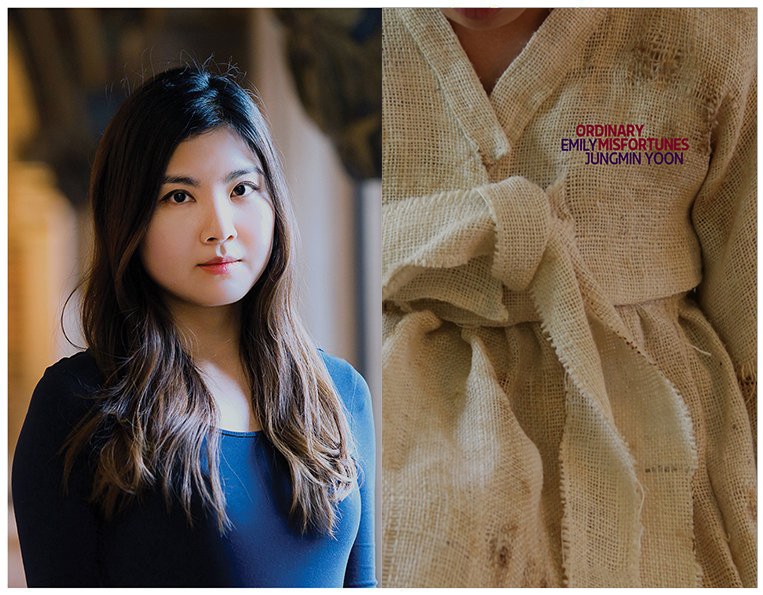 I can’t wait to read Yoon’s first full-length collection, A Cruelty Special to Our Species, which came out from Ecco this fall. Lauren Moseley’s debut poetry collection, Big Windows, was published earlier this year by Carnegie Mellon University Press. Her poems have appeared in the anthologies Best New Poetsand Women Write Resistanceand in such magazines as FIELD, Narrative, The Journal, and Copper Nickel. Lauren has been a fellow at Yaddo and the Virginia Center for the Creative Arts. She lives in Durham, North Carolina, and her website is laurenjmoseley.com.